New report cites rising temperatures, acidified seawater and storminess as the key drivers of change in the marine ecosystems of the North Atlantic. These changes to the climate, combined with increasing levels of pressure placed on the marine environment from man, are affecting the marine flora upon which a huge range of species depend. Scientists fear that the changes will lead to the uncontrollable spread of invasive species, widespread changes in critical marine habitats and damage to shellfish and finfish fisheries. 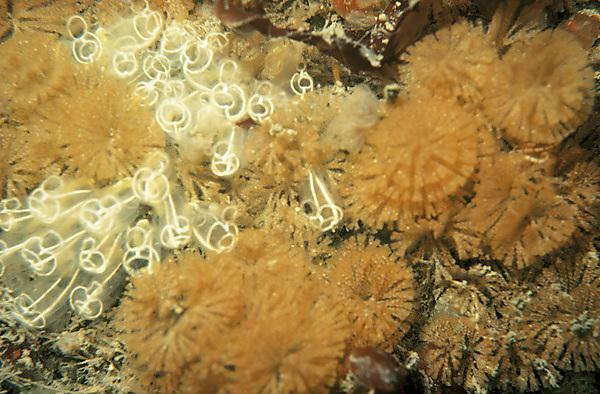 The study – “The future of the NE Atlantic benthic flora in a high CO2 world” – was hosted at the Marine Biological Association as part of the UK Ocean Acidification Research Programme. It involved more than 20 international partners including Plymouth University, the Marine Biological Association of the UK and the Natural History Museum, and has been published in the scientific journal Ecology and Evolution. The report was pulled together from decades of research involving laboratory and field work looking at the impact of human activities on marine flora, and the effect of CO2, which directly acidifies seawater and indirectly increases temperature and storminess, upon marine plant life. The study focused on the northeast Atlantic region, which includes coastal ecosystems of Portugal, Spain, France, Great Britain, Ireland, Iceland and Norway, among others. Researchers found strong evidence that non-native species are invading – 44 species of macroalgae have been reported for the North East Atlantic – and they believe that melting polar ice caps and the increased presence of marine renewable energy devices in the water will aid the spread of these species. In the south west, for example, wireweed (Sargassum muticum) and Wakame (Undaria pinnatifida) are spreading rapidly along the coasts of Devon and Cornwall and radically altering local conditions. If this pattern were to continue, the impacts of seawater warming, ocean acidification and increased storminess will decimate lush, diverse kelp forests, and the calcified algae that scallops settle upon are expected to dissolve away. These habitats support inshore fisheries, provide sanctuary for baby fish and stimulate news, oysters and mussels to settle out from the plankton. The expected disruptions would be fundamental to coastal economies worldwide. The report has called for ‘real-time’ mapping of some of the most important species of algae to monitor populations and whether they are adapting genetically to the changing conditions.